Our biodiesel technology program employs the low-temperature reaction of esterified and maximum extent possible to solve program. 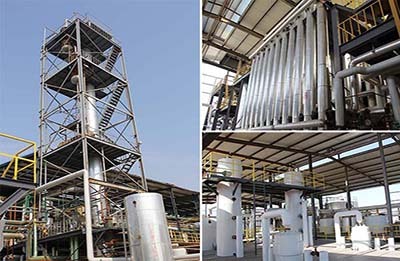 The process is one of the lowest energy consumption in the biodiesel process, taking gas esterification process, maximum extent possible to solve and mass transfer problems. It can achieve internal circulation in the case without external kinetic energy, hence it can save more than 60% of the energy. While within refluxing independent design, also can save energy in the great degree. 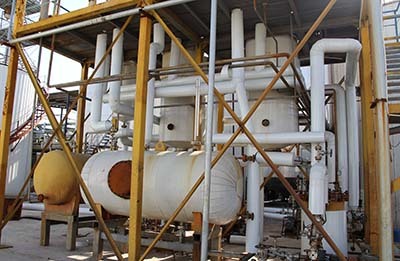 The unique technology solutions to solve the problems of high acid value waste oil cannot be sub-glycerol trans-esterification, the reaction rate reach more than 97%. 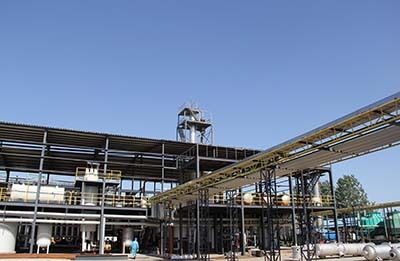 Make use of grease production of fatty acid methyl ester process can adopt batch process, semi-continuous process or continuous reaction process, the continuous process is conducive to the energy utilization, production costs can be reduced in a larger extent; while the process solution of the material for the corrosion of the equipment issues, and effectively reduces the equipment investment costs of the apparatus; while the raw materials applicability are very strong, In general, it can be get the various oil-and-fat feedstock adapt to industrial product market.